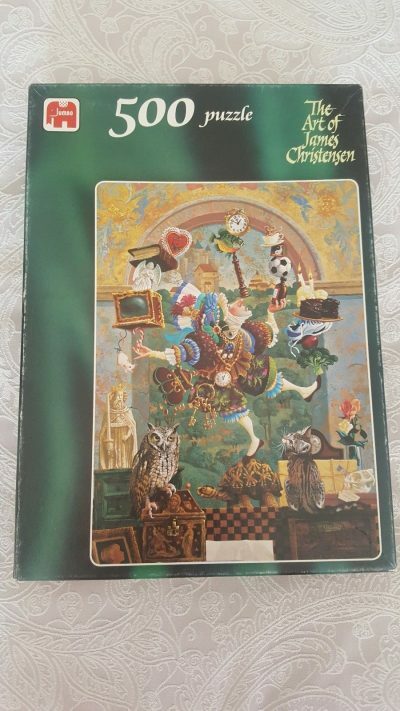 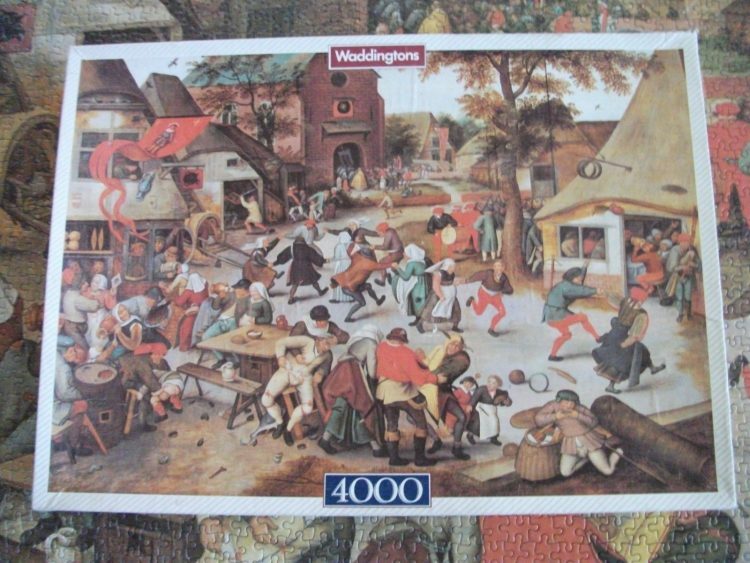 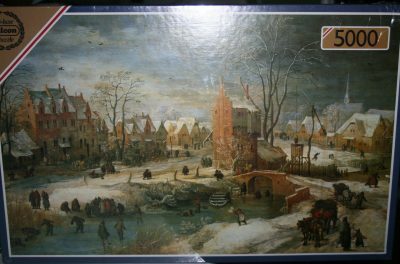 Exceptional jigsaw puzzle by Waddingtons. 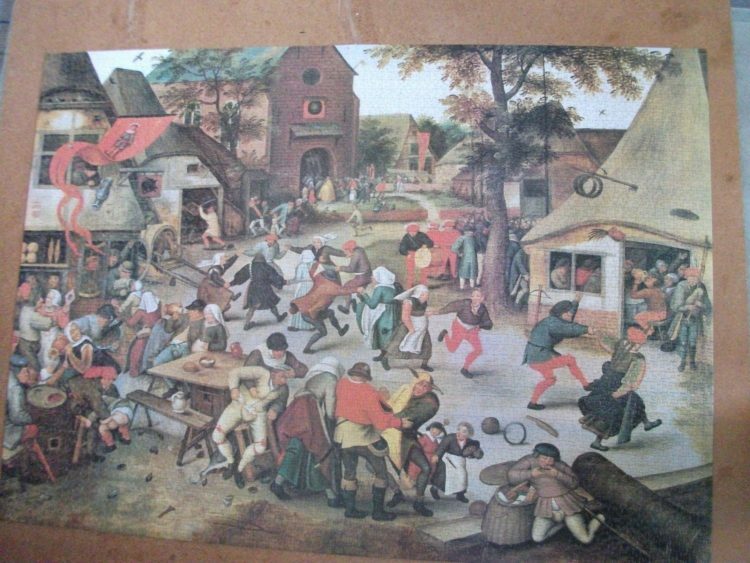 It represents the painting Feast Day, by Pieter Bruegel the Elder. 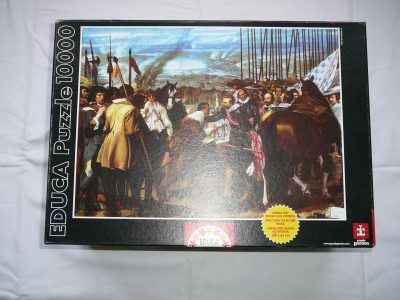 The puzzle is COMPLETE, as you can seen in the photograph of the puzzle assembled. 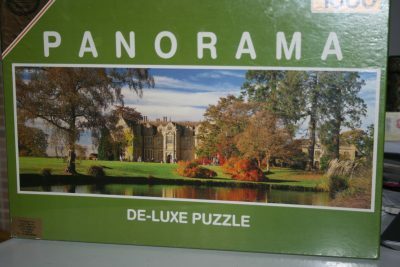 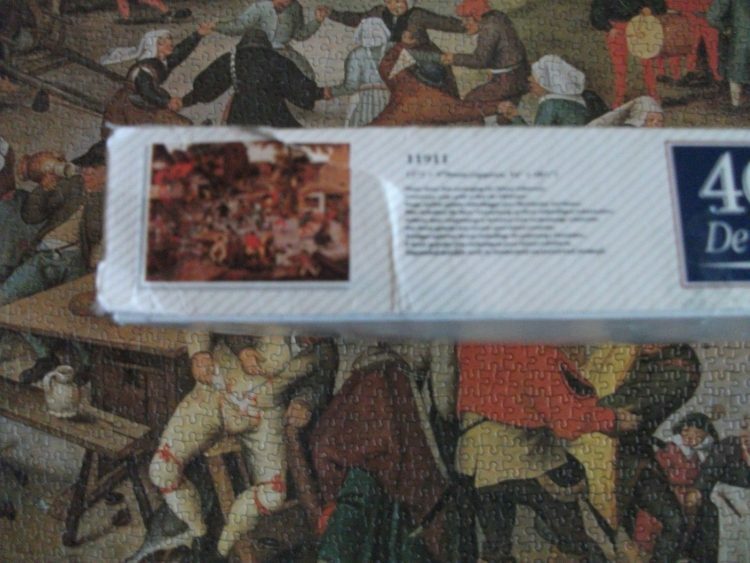 The pieces are in excellent condition, but the box has a torn area to one side as shown in the photograph. 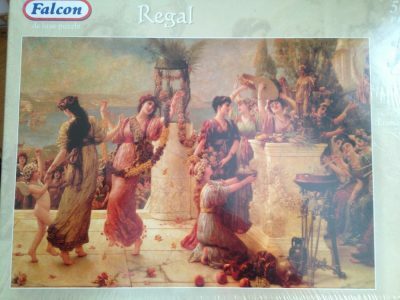 There is some paper damage to a small number of pieces but these have been colored to match. 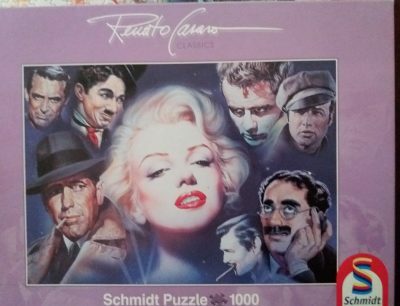 They are hardly noticeable when the puzzle is complete.